Appears to be made by Oscar Schmidt. 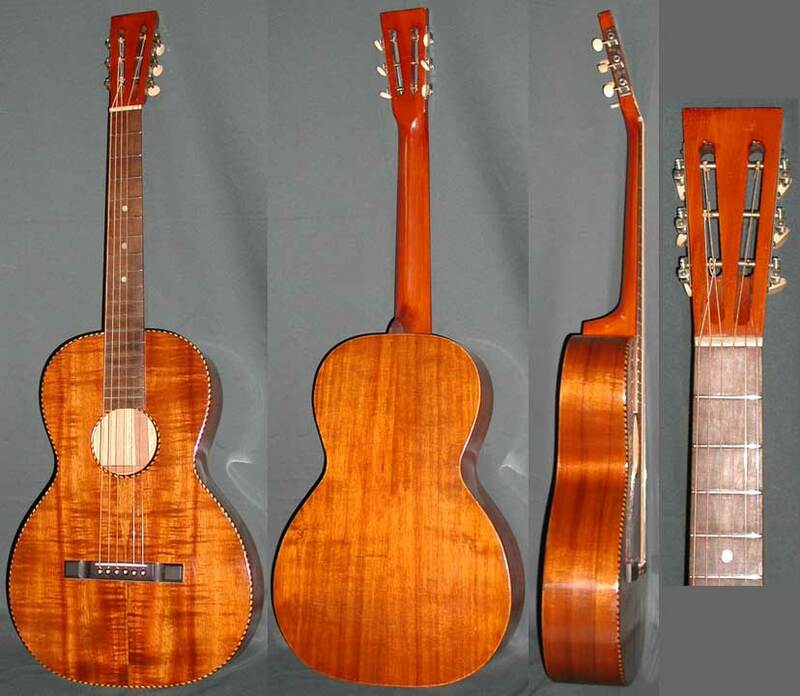 Koa top, back and sides, rope bound top, and soundhole, unbound back. Scale length is 24-1/4″, width at nut is 1-13/16 inches.